1900 square feet (177 square meter)(211 square yards) modern mix sloping roof home architecture plan. 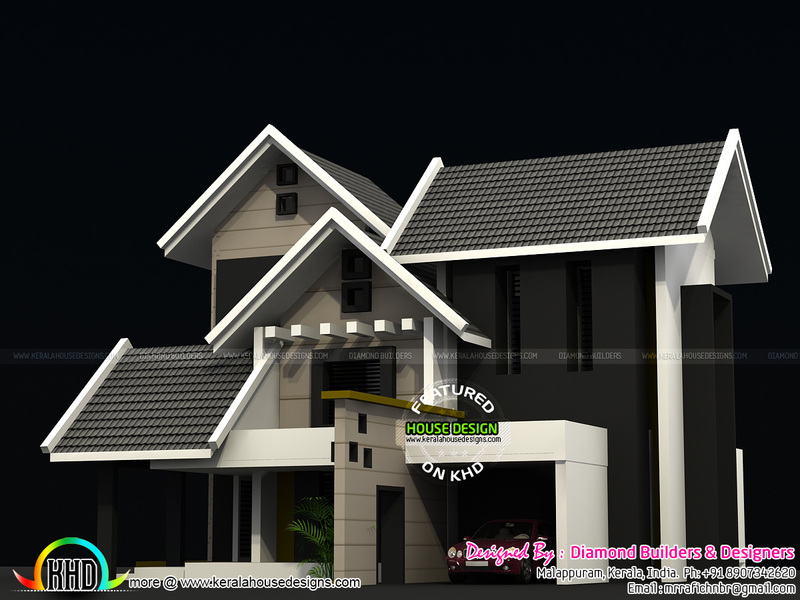 Design provided by Diamond Builders and Designers from Malappuram, Kerala. 0 comments on "1900 sq-ft sloping roof home plan"